JR WINDOWS DOORS & GARAGE DOORS has been serving the GTA for over 15 years! 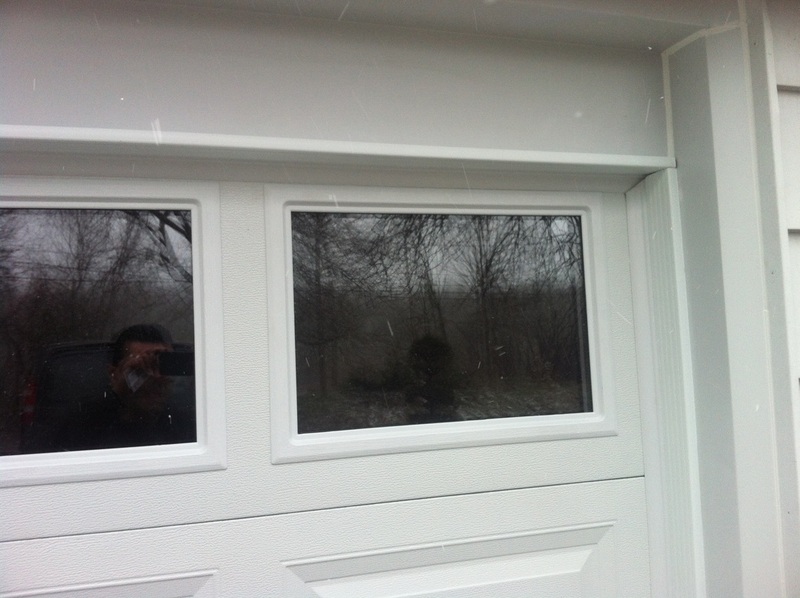 We are your garage door specialists and would gladly give you a free estimate. Give us a call or email us and one of our friendly staff members would be glad to assist you. Made with only the finest materials and built by some of the most skilled craftsmen in the business, all of our residential doors are designed with precision to add beauty and value to your home. The Foam In Place Door is made with two layers of steel rather than one to make it much more durable than a Non-Insulated Door. Ideal for heated or connected garages, WeatherGuard is offered for a Foam In Place Door to ensure that the heat is kept in and the cold out. With its raised panel design and wood grain texture embossed into the steel not only is the Foam In Place Door durable and easy to keep clean but it’s a great addition to your beautiful home. Foam Injected Doors also come with WeatherGuard but with a higher “R” value they tend to be more expensive then Foam In Place Doors or Non-Insulated Doors. The foam injected polyurethane keeps wind, dust and sound outside and is available in six beautiful colours. The 26 gauge, hot dipped galvanized exterior and 26 gauge Grade A interior ensure that your doors will withstand all that everyday life has to offer. We can customize a door to fit almost any budget, call us and we'll show you risk free! If you havent found the color you were looking for we can provide over 150 custom shades of colour! Blacks - Crimson Red - Reds - Blues, any shade to match your entry doors and shutters! Available decorative hardware for the carriage house collection door. ALL WOOD FRAMES ARE CAPPED INCLUDING THE STEEL BEAM ABOVE THE DOOR. 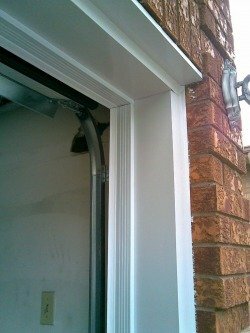 If you are tired of painting those old wood frames around your garage door then let our capping specialists cover them up with aluminium. By capping your frames you will never have to paint them ever again. You are also protecting your wood frames from outdoor elements by doing this. Best of all aluminium capping will never rust! WE SUPPLIED A NEW HEADER ABOVE THE DOOR AND THEN CAPPED ENTIRE HEADER AND SIDE FRAMES.